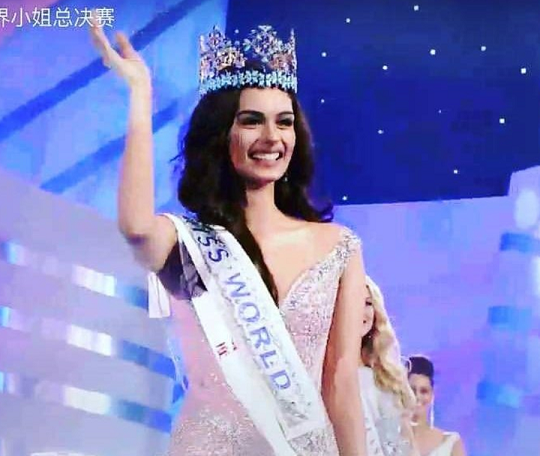 India's Manushi Chhillar has wins Miss World 2017 crown at a grand event in China, bringing to an end the country's dry spell of 17 years at the top pageant contest. The first and the second runners-up were Miss England Stephanie Hill and Miss Mexico, Andrea Meza. The 20-year-old from Haryana, who is a medical student, edged out top five contestants from England, France, Kenya and Mexico. Chhillar was presented the crown by Stephanie Del Valle, the last year's Miss World winner from Puerto Rico at the event in Sanya City Arena in China which was televised live globally. Chhillar competed against 108 contestants from various countries at a glittering event held at Sanya City Arena in China. Chhillar made it to the top five spots in the pageant along with England, France, Kenya and Mexico. India's Manushi Chhillar was crowned the coveted Miss World 2017 almost 16 years after Priyanka Chopra won the title in 2000.